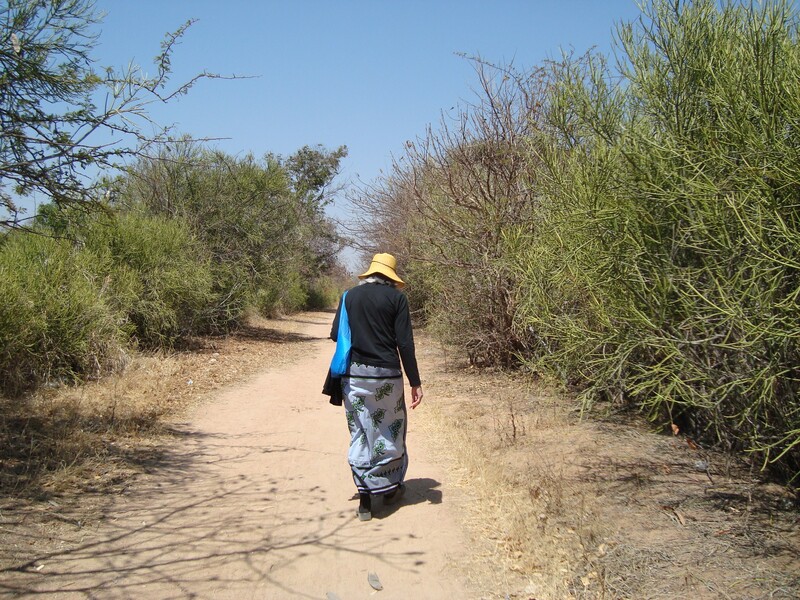 In the midst of our on-coming fall and winter with falling leaves, cooler temperatures, harvest time, crisp apples, the advent of Thanksgiving and Christmas (all things that I love), I find myself lonely for our friends and life-style in Tanzania. It is quite freeing to not have to worry about what to wear or even what to fix for dinner. True, it is a different culture and we probably could not get by with only a couple of skirts and a few T-shirts in this country, but we do over there, and we are drawn into the joy and trust that our African friends share so extravagantly. This is not to say they don’t worry about school fees, medical fees, famine, but they trust God completely. Someone asked me the other day just what it was about Africa that has become so much a part of our hearts. I fumbled a bit for words ~ feelings are often hard to express. I said something about our roots being there ~ the birth of civilization. It’s more than that ~ Jessie and I talk about it a lot. Village life is almost communal living. A village, as poor as it might be, is a caring community. A child can roam the village and be safe and if there is sickness or trouble at home, a neighbor will care for the little one. They really do care for the common good, something that I fear is being lost in our country. Greed and keeping up with the Jones’ doesn’t seem to exist there, at least not in distant villages. It is of my own doing, but I barely know my neighbors, other than a wave when I drive out of the driveway. We push little remote door openers when we get home and go directly into the house, never seeing a living soul. Remember the days when we sat in the front yard or the front porch and greeted folks walking by and even offered lemonade on a hot summer day? I know I am rambling in a nostalgic mood. But just look at the picture of Jessie walking down a dirt path to the Bishop Stanway Primary School to teach art. Not a care in the world. The Rev. Hilda Kabia – Supervisor of the Women’s Empowerment Projects, and Judith Makolonga, Secretary of the projects from Makoja Parish sent their reports from their visits to the Ikowa and Makoja Parishes to collect on the loans from last year, and hear of their progress. 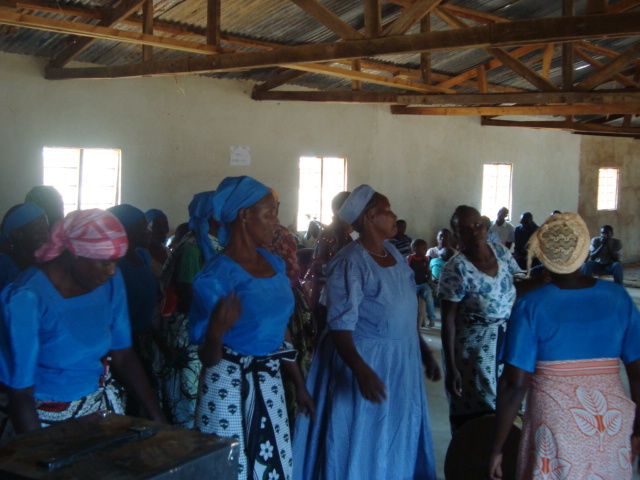 In Ikowa this past year’s group of 22 women were given $933.00 as seed money for their projects. This seed money came from repayments of loans from the former groups. The 22 new groups had 5 women in each group, totaling 110 new women. They proceeded to pay back all but $18.66 which the promise will be repaid at the next distribution. There are now 350 women in the parish of Ikowa who are benefiting from these projects. 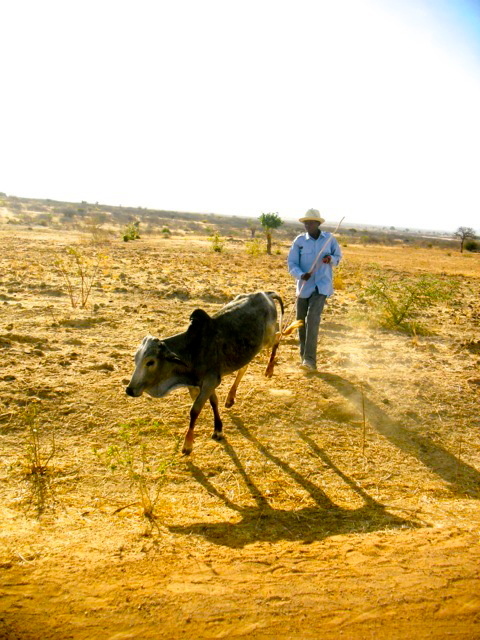 They have been able to pay school fees for their children, a few have built good houses, (read mud, adobe, 10×12, with metal sheets for roofs as opposed to straw). Others have decided to buy goats and sheep as a new business. As a way of giving thanks for this business opportunity, the women of Ikowa put a cement floor in their church last year. 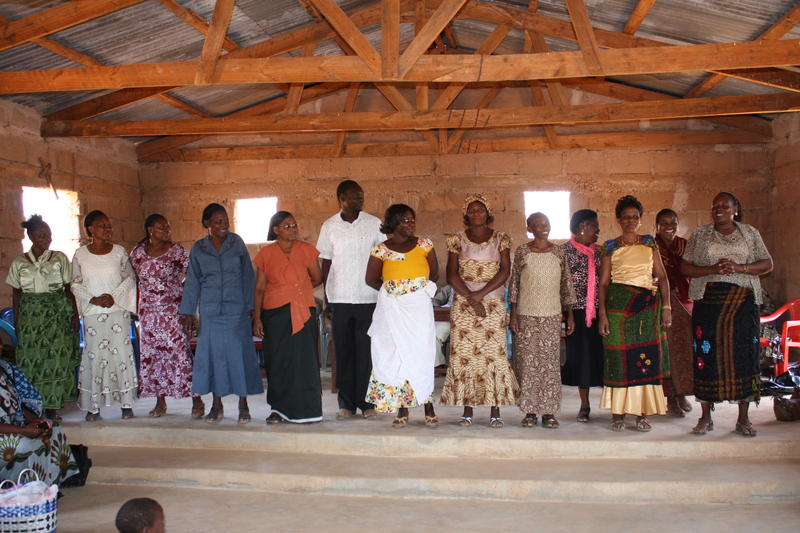 In Makoja Parish, they were given $373.20 last year, which they succeeded in repaying in full this year. This money was distributed to five groups of women with 5 in each group, 25 women in total. Each group bought three piglets and the piglets grew well. They were put to a boar, and they multiplied. The money from the sales of the new piglets helped them to pay school fees for their children and to buy food because it was a dry area with the drought. Tally and I are asking you to reignite your piglets projects as more women want to join in this endeavor. The cost of a piglet is $18.50. With the new groups starting this year, we have grown from the initial 49 women four years ago to 602 women! 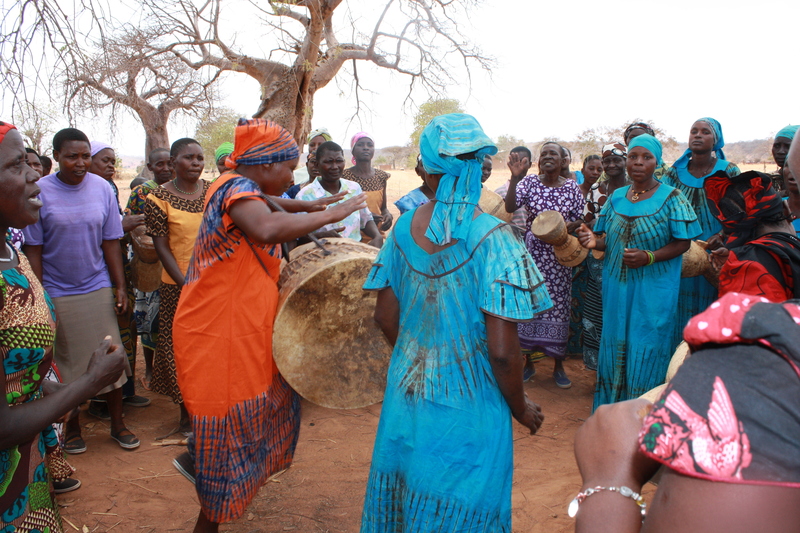 Other projects are also running, such as the flour enrichment being done by women near Dodoma. The women, Tally and I want to thank The Rev Canon Moses Matonya, his wife Ruth, his mother, Rosemary who supervised the first projects in Ikowa village four years ago. Also, The Rev. Hilda Kabia for her hard work on keeping track of all the projects. Marion McChesney for teaching the Women’s English classes and Entrepreneur classes. Mary Makunda for all her support and ideas. Most of all, we thank YOU for your continued support of KARIMU. Please know that the lives of over 600 women in Tanzania have been made better because of you. All they needed was that one “leg up” to get them going. They have the energy, desire and ability to improve their lives, they simply needed that “start” which you have provided. They now delight in passing it along to others when they repay their loans. The men have been supportive to the women as well. Moses is relaxing at Jessie’s celebrating my 80th birthday. He always has a smile on his face and I think a smile in his heart. What a lovely countenance. had such joy in your heart that you felt it might burst? We have all had our hearts broken but once in awhile joy catches us by the throat and lingers there because there are no words. The Rev. 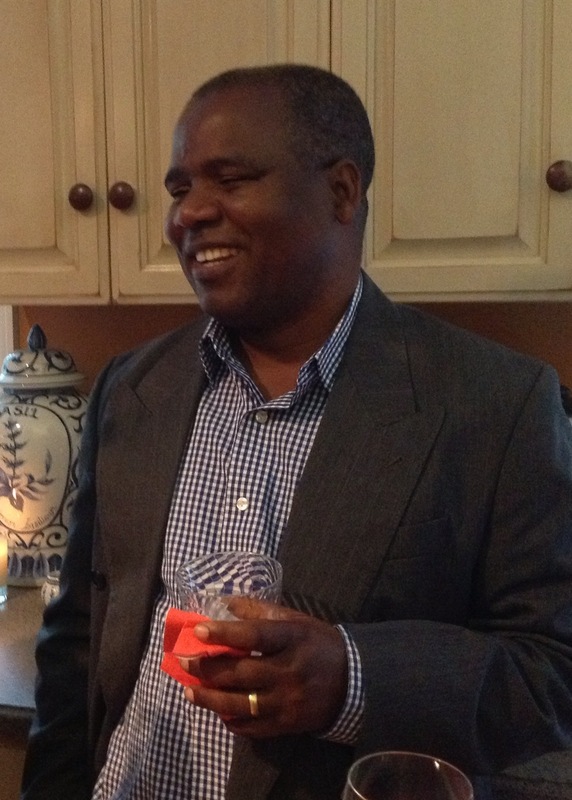 Canon Matonya (Moses) was with us from this past Friday until 12:41 a.m. today when he boarded a train in Southern Pines, N.C. bound for Virginia Theological Seminary. There is something about a train pulling away from a station that compels us to stand there waving to everyone as it clickety-clacks off into the dark. I stood in the rain until I could no longer see the back of the train and tears welled in my eyes and rolled down my face along with the raindrops. We now live in a world that we can easily reach across long distances, oceans, continents and hold hands with people that we never dreamed of meeting or knowing. Moses has the soul of an angel ~ gentle and calm, trusting in the goodness of God. A few words from him and my perspective changes. Although I have always loved rain, like walking in the rain, smelling rain, hearing rain on the rooftop. It is good as Moses would say, but Moses also said that when he sees rain he sees life. 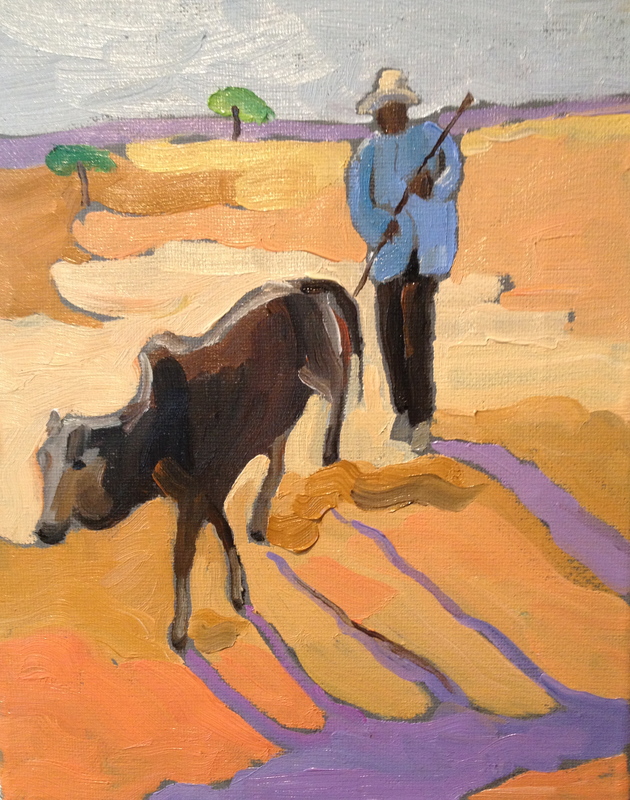 You see, where he comes from there is little rain, crops fail, hunger and illness prevails. Still, the sweetness in his face remains. Another Sandy Photo, now a painting.